“Organization is the key to a successful business.” You’ve probably heard this phrase a 1000 times. Business experts, successful CEOs, productivity analysts, etc. all seem to live by this phrase. But how impactful is organization really? Doesn’t it take much more than just simple organization to increase success? Yes, there are many factors that go into the successful business equation, but it is important to realize that organization is the root. Without organization, there is a lack of efficiency. Without efficiency, there is a lack of productivity. And without productivity, you can kiss your beloved business goodbye. Fortunately, point-of-sale software companies have recognized this need and have provided an amazing solution to your disorganization problems. Companies, like mPower Beverage, now offer all-in-one liquor store management systems that organize, manage, and best of all, eliminate wasted time. What does this mean for you? Inventory management just became a piece of cake. Along with all of its other fancy bells and whistles, software like mPower Beverage has really stepped up to the plate when it comes to streamlining your inventory process. It takes the grunt work out of manual inventory and stores your inventory information in a secure database that you or your employees can access from anywhere. Now owners with multiple stores can check each individual store’s inventory from one place. Or, without ever having to leave the register, employees can check product quantities for customers. Still not convinced? Here are some additional benefits to implementing a liquor store inventory system into your store. Time is money. There’s no denying that simple truth. However, as a liquor store owner, you’ve probably come to realize just how valuable your time really is. In fact, every minute you spend wasting time directly affects your business. This is all the more reason to remove complicated or tedious tasks from your plate and hand them off to a trusted and reliable liquor store inventory system like mPower Beverage. mPower Beverage’s liquor store inventory system was created with the sole purpose to organize, manage, and automate liquor store inventory. After a one time setup, it’s completely ready to use and will begin updating your inventory database automatically to reflect daily transactions. Gone are the days of manual inventory, manually receiving orders, or manual cash register closeouts. Imagine all of the other things you’ll be able to complete and time you’ll save when these tasks are taken off your store’s tasks lists. It’s pretty amazing! According to a survey conducted by P-Touch in 2010 of 800 full-time US employees, 66% of respondents admitted to spending up to 30 minutes a week simply looking for misplaced work documents or items at their job. That’s 2 hours a month and 24 hours a year of time wasted due to disorganization. If this reflected 5 of your full-time employees, at $10 an hour, that’s an annual amount of $1200 dollars thrown right down the drain. $1200 dollars that you could have easily spent on marketing, store improvement, or expansion plans. Not to mention, by allowing a liquor store inventory system to take complete ownership of your inventory, you’ll spare yourself many embarrassing, costly errors. No more product miscounts, over ordering, or mysteriously missing products. mPower Beverage keeps track of every transaction that occurs in your store and can fill in the details should you need to investigate a problem. Well-organized liquor stores are always more prepared to deal with life’s surprises than disorganized stores because they exhibit control over their business. If your business is in a constant state of chaos, how could you possibly handle unexpected events? Implementing a liquor store inventory system into your store(s) can solve this problem and provide you, the business owner, with a bit of relief. By having control of your inventory, not only will you be able to provide valuable information to customers at the drop of a hat, but you’ll also be able to accommodate their requests and needs quicker than a disorganized store. Here’s a good example: say a customer comes into your store desperately needing to buy 5 cases of an expensive liquor for a wedding reception. You only have one employee working today (due to several employees calling in sick) and it just happens to be peak hours on a Saturday. Could you accommodate this customer? If you were an organized store with an efficient inventory management system in place, absolutely. While your employee takes care of the growing line at the register, you could hop on the other register, check the inventory status on the product, and give them a reply within minutes. Voila! You just boosted your total daily sales by a thousand dollars. A disorganized store, on the other hand, may not be as quick, and thus lose the sale. How frustrating would that be? Especially, if you had the product on hand, but just couldn’t locate it. As a general rule of thumb, it pays to be organized. You save time, money, and most importantly, your sanity. 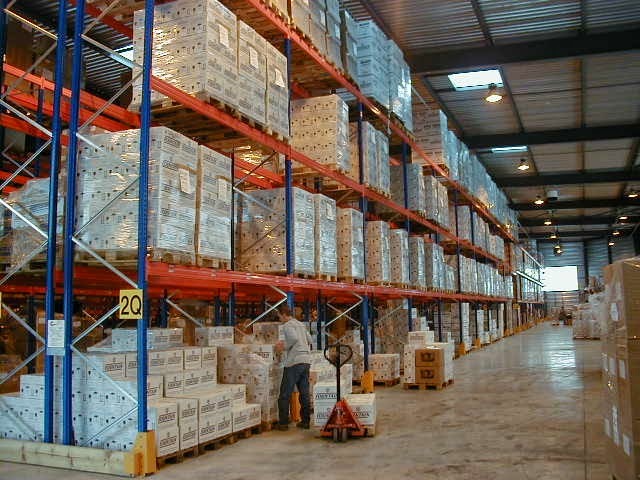 So why not stop chaos in its tracks and organize your business with an inventory management system? You never know what heights your business could reach!